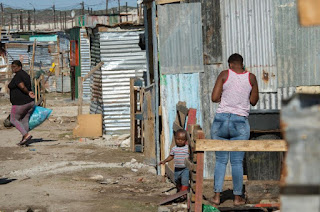 KHAYELITSHA, SOUT AFRICA (AFP) - "I've waited for a government house for 21 years," complained Andiswa, a 45-year-old mother of three. 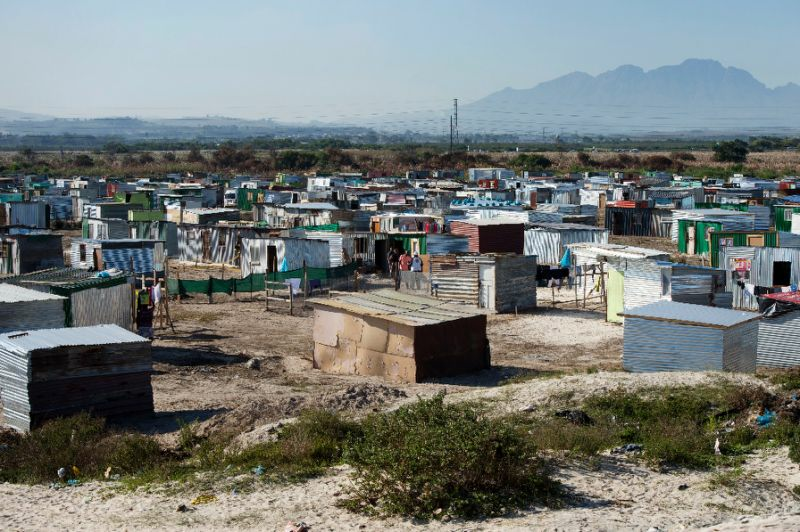 She and around 200 other destitute, frustrated families have taken over a plot of land outside Cape Town, where they have erected ramshackle shelters they now call home. Illegal land seizures of this kind have surged in recent months, overwhelming police. With an eye on nationwide elections next year, the ruling African National Congress (ANC) party has vowed to accelerate land reform in favour of the country's black majority who were systematically disenfranchised under apartheid. To restore "dignity" to impoverished black voters, the government has promised a political watershed for South Africa -- to expropriate land without compensation. To the political left of the ANC sits the radical Economic Freedom Fighters (EFF) party. It has gone further than the ANC, calling for poor and landless South Africans to forcibly seize land -- a potentially dangerous call to arms in a country still bitterly divided along racial and economic lines. Andiswa, 45, was interviewed inside her tiny, windowless shack, built on the fringes of the sprawling Khayelitsha township about 35 kilometres (20 miles) from central Cape Town. Like others who spoke to AFP on this highly sensitive issue, she insisted that her family name be withheld. "We are born here. Where can we go? We have nowhere," said Andiswa. "We don't have jobs. We have nothing." In the first four months of the year, the city of Cape Town has been gripped by a wave of protests over land. The city's anti-land invasion squad has responded robustly, destroying illegal structures and illicit demarcation markers erected on squatted land. In 2017, 15,000 illicit structures and markers were removed, compared to 26,000 so far this year. Among them, Andiswa's tumble-down home as well as those of her neighbours, which were hit three times in a matter of months. After each clearance, the displaced families gather together their things and rebuild their shacks in the same location with dented corrugated plastic, old wooden boards and faded fabric. "They say we must not take land but they don't build us houses," said Andiswa. "(The ANC) promised to give us houses but it was empty promises. They are just feeding themselves." 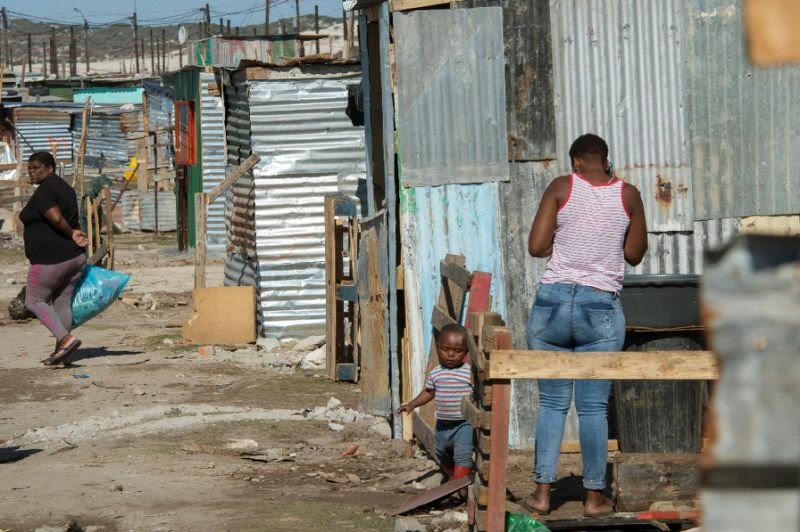 A quarter of a century after the end of apartheid, authorities have built 4.3 million social housing units -- but the demand remains enormous as millions of black South Africans still wait for decent shelter. Eleven million families, 95 percent of whom are black, live in poverty and their frustration is spilling into the open. In April a desperate father threw his baby from the roof of an illegally-constructed structure as police prepared to level it. Near Andiswa's home, along a strip of marsh, a group of would-be squatters dug up sandy plots they hoped to claim as their own, marking them with whatever they could find. "I pay 540 rands ($43, 36 euros) a month for a shack. It is too much. I don't work," said Fistos, 22. More than one-third of young people are, like Fistos, unemployed in Africa's most developed economy. "No one caters for the coloured (mixed-race) areas," complained Titus as he attempted to erect a structure on a plot in another area of the city inundated by homeless families. "(Officials) cater for places like Constantia where people have money," Titus said, referring to a largely white suburb. "There are lots of places... where they can build houses." "During apartheid, we knew that if you were black and coloured, you were poor and landless. Twenty-four years into democracy, we know that if you are black and coloured, you are poor and landless," said Mandisa Dyantyi, an activist at the Social Justice Coalition. But not all of the so-called squatters are in financial dire straits. Peter, marking out a site for a shack, has two apartments. "It's the land of the city, it's our land, it belongs to us," he said. Expulsions often end with clashes between squatters and security forces. "We cannot have a situation where we allow land grabs because that is anarchy," President Cyril Ramaphosa warned recently. "There is a growing rate of occupation and a growing rate of (violent) response from the government -- and that is a recipe for disaster," said Dyantyi. Ruth Hall, an expert at the Institute for Poverty, Land and Agrarian Studies (PLAAS), says the state of the economy will drive the sensitivity of land reform. "The degree to which the land reform issue will affect political stability very much depends on how our economy is doing," she said. "If it is growing and creating jobs, the land issue is likely to be less significant."